The 1968 film ‘Padosan’ has entered the top 100 Indian Movie List of IMDb. 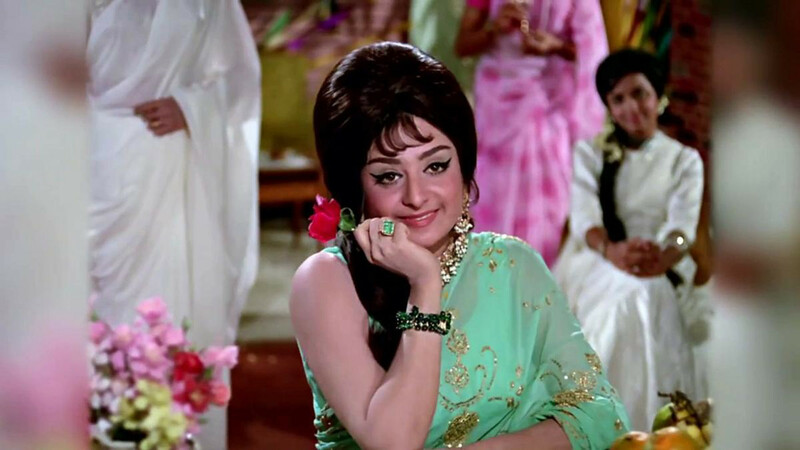 Veteran actress Saira Banu says the movie was offered to her early in her career and she is glad that she could stand up to the “formidable” talent of her co-stars. “I’m truly happy to learn that ‘Padosan’ figures in the count of top 100 films of India on IMDb,” said Banu in a statement. Directed by Jyoti Swaroop, the comedy film is about a simple man from a village who falls in love with his fashionable and very urban neighbour. He enlists the help of his musical-theatre friends to woo the girl-next-door away from her music teacher who always seems to be around her. It is a remake of the Bengali film ‘Pasher Bari’. “‘Padosan’ came to me in the early stages of my career when I was myself a carefree, extremely happy and lively young woman full of the joie de vivre that comes when one’s dreams come true. Much of the vibrancy you can see in the character of Bindu is a reflection of my real personality at that time,” said Banu. “Needless to say I thoroughly enjoyed my work and I was effortlessly standing up to the formidable talents of my co-stars who were brilliant in comedy and very popular and respected actors,” the actress added. Looking back, the actress, who got married to Dilip Kumar in 1966, said: “I was newly married to Dilip saheb [sir] and I received the highest compliment any actor can receive when he watched the film and commended my innate sense of precise comic timing”. Banu, 74, turned emotional as she recounted fond memories of her mother Naseem Banu, who “took pains to design the beautiful saris and dresses I wore in the film which became trendsetters”.